Perth’s the place to be this year, with a fabulous range of activities and events stretching from often fabulously frosty February, through the summer into Autumn. The season kicks off with the Scottish Curling Championships at the Dewar Centre in Perth. With local gold medal winner at the Sochi 2014 Winter Olympics hailing from Perth, we have a proud local curling heritage. Already receiving rave reviews, the V&A showcases the brilliance of Scottish creativity and the best of international design. V&A Dundee is Scotland’s First Design Museum is just a short car or train journey along the Tay Estuary. While you’re in Dundee don’t miss the hidden gem that is Dundee Botanic Gardens, or the tall ship Discovery from her beginnings in Dundee, her amazing Antarctic expedition with Captain Scott and other voyages. For ten days in May, Perth Festival of the Arts becomes the highlight in Scotland’s cultural calendar and brings some of the finest international and national performers to Perth. With performances in Perth Theatre, Perth Concert Hall and other venues across the city, the annual Festival features the best in classical music, opera, theatre, rock, folk, jazz, comedy, dance and contemporary visual art. Taking place in the spectacular grounds of Scone Palace 19-21 July – Rewind Scotland is a sight to behold! Expect a weekend of iconic performance from musical legends, themed venues, pop-up performers and an unrivalled festival atmosphere. Even better, after the show, you can come back to the Alexander Residence to kick back and relax. Southern Fried the award-winning festival of American roots is based in Perth Concert Hall and venues throughout Perth city. Hear Americana, country, blues, rock’n’roll. bluegrass, blues, and more from a range of artists in a long weekend of headline concerts, free stages, late clubs, pub gigs and daytime shows. Southern Fried takes place in July. 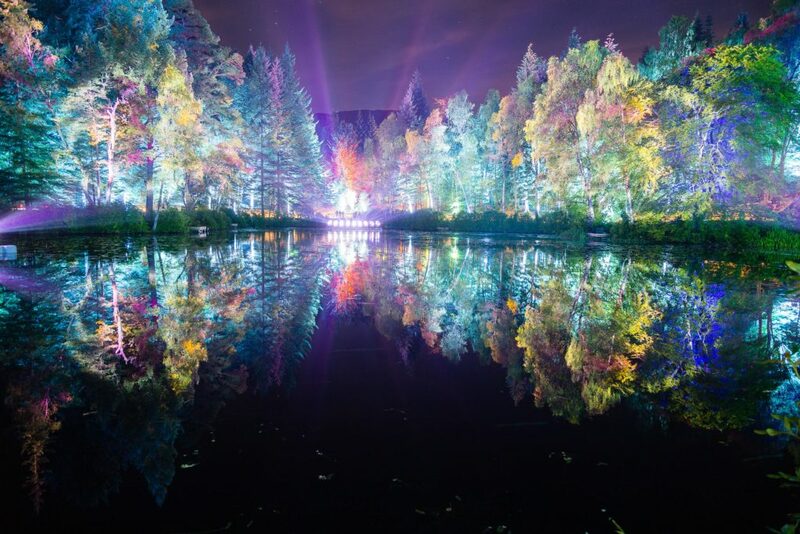 After the amazing colours of Autumn woodland and set amidst the Forestry Commission’s Faskally Wood in Highland Perthshire, The Enchanted Forest is Scotland’s premier sound and light event. This year’s event runs from 3rd October – 3rd November. Tickets are on sale now but get yours early, as this is a super popular event.